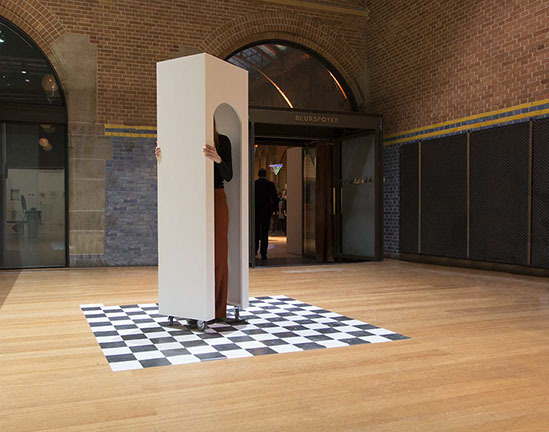 Esther Hoogendijk develops mainly site-specific installations which are the result of a huge amount of research. She studies the space and its layers and investigates the non-figurative image by constantly experimenting in order to determine in what final form she can use the results. With her tests, she disccovers new techniques and methods to carry out her concept. She often works with projections, light, paint and transparency. Joyce Overheul is fascinated by human behaviour, especially when people are placed in an unfamiliar situation. Therefore, she believes her work can be looked upon as a series of social experiments. 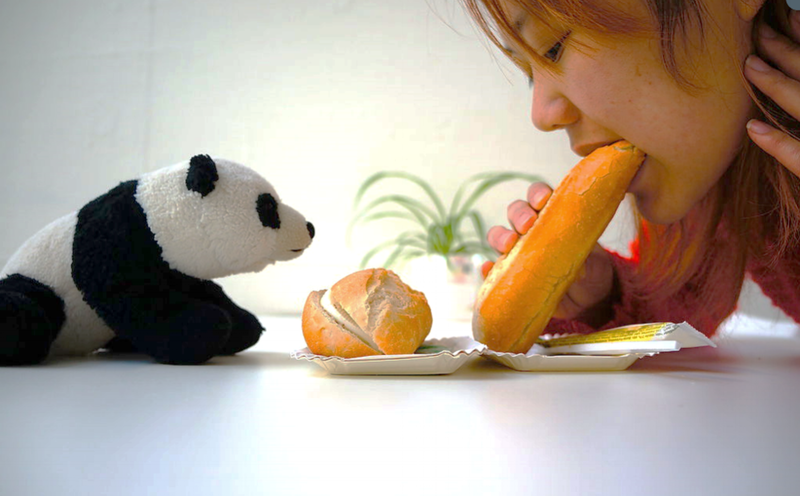 Overheul recreates and manipulates human behaviour, and confronts people with their own actions through various media. In the process of developing new projects she considers every possible medium to see what fits best for the concept and content of the work-to-be. Overheul believes this approach will result in artworks that suit their environment best. Janneke Kornet is fascinated by habits and daily occupations. The location or situation is always the starting point and forms an essential part of her work. Each installation is made for a specific place of which she reveals invisible aspects by researching its history, materials, inhabitants or rituals. Kornet is often studying new subjects and disciplines for which she collaborates with experts in a certain field. Depending on the concept, she uses several media: installation, photography, text, sculpture and drawing. 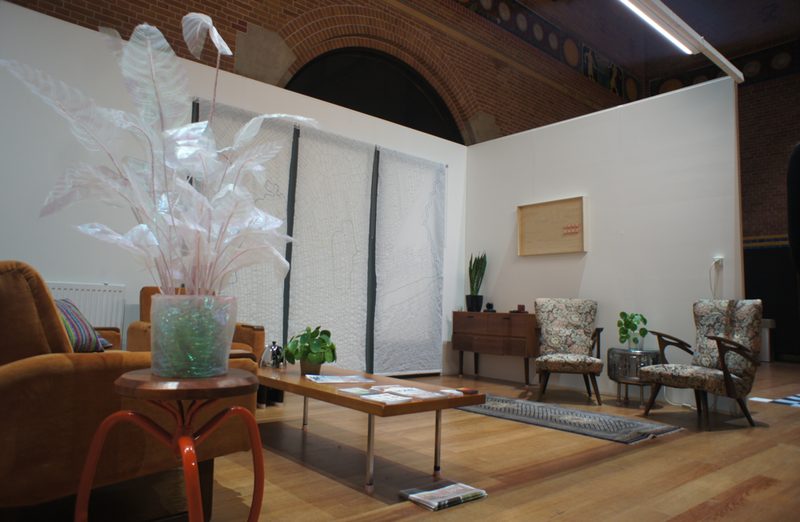 Intimacy and homeliness are the keywords of the coming group show at This Art Fair. MILK focuses on site-specific performances and installations. Because a fair is not often the domain of site-specific artists, MILK offers a new sales concept with home-specific works. For a specific living room in Amsterdam, Janneke Kornet, Esther Hoogendijk and Joyce Overheul develop a special artwork. These works are not for sale but are presented in the original living room in the booth. MILK offers their work process to the visitors and potential clients who can order a new home-specific work by one of these artist. MILK designed an exclusive 'glossy' for the living room. Read here everything about the home-specific purchase, including portfolios and interviews with the artists. The poetic performances of Merel Stolker are often intimate and interactive. She examines the relationship between herself and the other through objects. In a minimalist setting she creates a personal contact that at the same time shows silence and strength. The audience often plays an active role in her performances, creating a personal moment and a warm relationship. 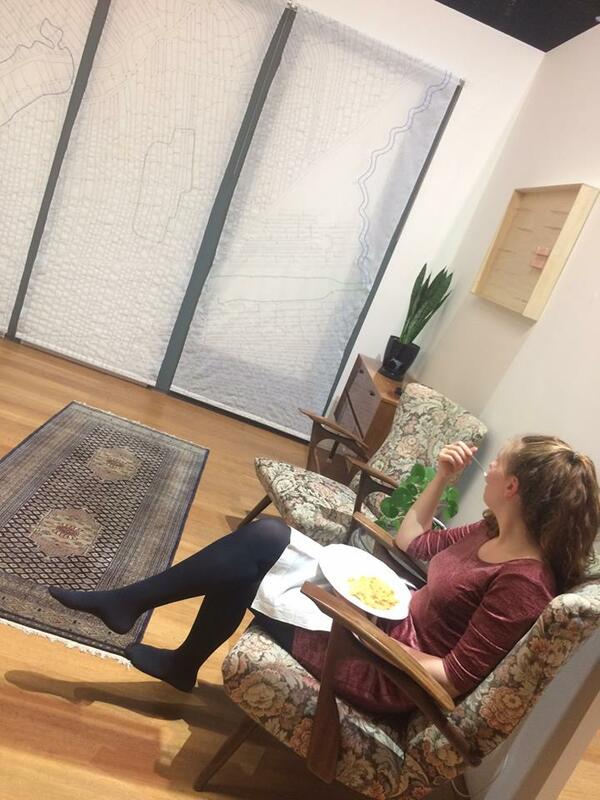 For TAF, Stolker develops a home-specific happening in the living room where visitors are invited join an intimate shared-dinner conversation. Laiyan Cheng calls herself an allround artist who seeks the borders of peoples mindset. Her work, such as the stuffed animal shelter and living sculpture of mermaids, raises awareness that even made people re-evaluate their feelings about the rules of life. Cheng puts little things in a spotlight where others have forgotten all about them. She wishes that all adults relive their childhood moments, and she invites you to experience the world in a different and colourful reality. At TAF, Cheng will have dinner and play spontaneous games with the visitors and document them in Polaroid pictures. Maureen Jonker creates an illusory and minimalistic environment where the two-dimensional and three-dimensional come together. The artist explores the relationship between the human body as prop or as an attribute and shows the sculptural approach of the body inside the self-created environments, thus using the human body as a layer of reality. The live registration of a human body, stretched and posed for a long time. Without the use of photo editing programs she keeps the effort of human activity and unevenness in her self-created environments. 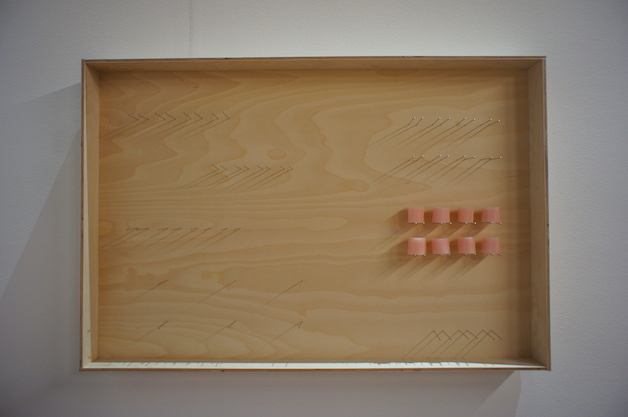 At TAF, Jonker invites visitors to become the performance and merge with the object. Step away from the fair, into a body-size 'house', an move as a pawn on a board game!